Bevan’s achievement in landing Commercial Motor magazine’s inaugural Bodybuilder of the Year title set the seal on a memorable 2017, in which the West Midlands company also rounded off its 40th anniversary celebrations. 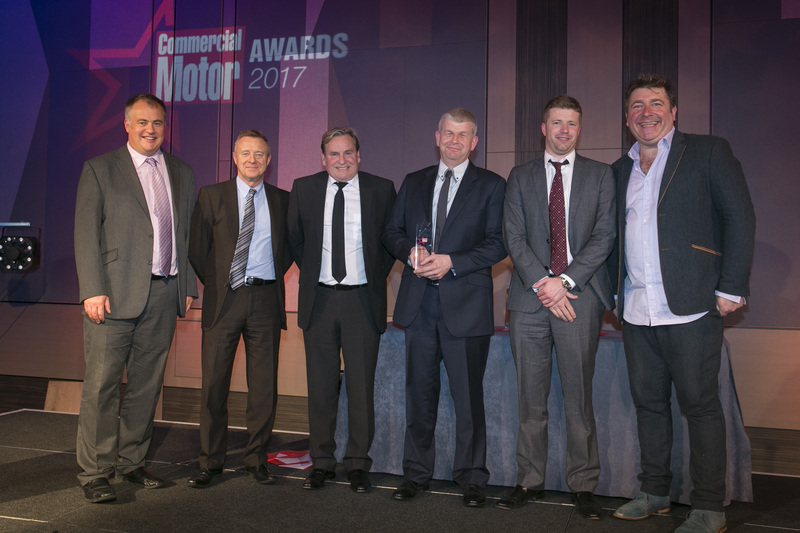 There were 12 categories at the 2017 Commercial Motor Awards, and the new one for Bodybuilder of the Year attracted more entries than any other. The winners were announced during a presentation dinner held at The Vox Centre, Birmingham. Transport industry experts on the judging panel hailed the quality and breadth of Bevan’s submission, which was supported by an impressive case study based on the company’s flourishing partnership with infrastructure support service leader Amey. Another hailed the company’s "excellent ongoing strategy for measuring retention,” noting: "Overall results show good levels of satisfaction and long-term relationships.” And a third highlighted Bevan’s "clear development of bespoke products”, which gave it an edge in the market. "Evidence of growth is clear to see,” said the judge. The Bevan Group employs more than 300 people and operates from a new headquarters in Wednesbury, a second location in the town, and other production facilities in Halesowen, Oldbury, and St Helens, Merseyside. The family-owned company manufactures more than 60 truck and van bodies each week, for some of the biggest names on UK roads. Its portfolio includes boxes, curtainsiders, tippers, dropsiders, and Lutons, as well as specialist products such as highways maintenance vehicles. Bevan’s Supertrucks division, meanwhile, is the UK’s leading producer of glass-carrying bodywork. In addition to bodybuilding, the Bevan Group runs a highly successful Aftercare Response operation, which maintains and repairs ancillaries such as tail-lifts, cranes and roller shutter doors, as well as bodies. Bevan’s Graphics division offers a full vehicle livery service, and its Passport team assists customers in securing Whole Vehicle Type Approval. Completing the picture, the company also provides Parts back-up and, through its A&R Vehicle Services business, vehicle and trailer repairs and refurbishments. The Bevan ethos of ‘building better for longer’ means its bodies are recognised throughout the transport industry for their strength and robust built quality. These attributes translate into impressive durability and minimal downtime, as well as high residual values. The company also backs its products with market-leading, 36-month warranties. In another important development this year, the Bevan Specialist Products team have relocated from their previous base in Stone, Staffordshire, to the A&R Vehicle Services site in Wednesbury. The fact that the entire production process can now be undertaken in the same building has delivered a 30% improvement in efficiency – two-man teams combining experience and youth now take just eight days to complete a body which, under the former, one man-one build regime, would have taken twelve.